Yumiri Hanamori is a fresh young face on the voice acting scene. A 17-year old high school student, she has recently had breakout roles as Chiaya in The Rolling Girls and Uri-tan in Etotama. She will also be starring in an upcoming film in 2016, Garakowa -Restore the World- (ガラスの花と壊す世界). Raymond Hu conducted the interview, which has been edited for clarity. We saw on your Twitter bio that you call yourself a “yakitori based girl (焼き鳥系女子です).” Can you explain what you mean by that? I really love yakitori, but it’s not really something that girls typically eat. It’s something you usually eat with beer or sake. Because I really love making people say “that’s weird,” I have this thing…I call myself that because I think people should love yakitori, no matter their age or gender. 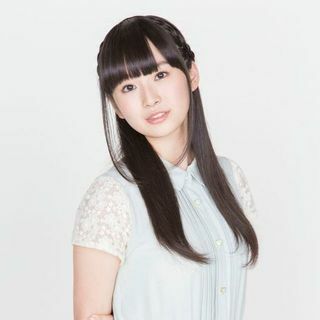 What inspired you to begin seiyuu work? When I was in middle school, I had a friend who told me that my voice sounded like an anime heroine’s. Back then I also really liked anime, and it was something I thought I’d like to do. They had a seiyuu audition and I applied for that, and that’s how I started. Which anime character did your voice resemble? I was in the tennis club, and the voice I was letting out when I played was like a fighting heroine’s. OOH! You are still a high school student, so how do you balance between school and work? At first, I was really just focusing on work and I didn’t concentrate much on schoolwork. But now I think balance things a bit better, and I will take the time on the train to review English vocabulary words or other things. I do a little at a time when I have a chance. How do you prepare for your roles in anime, and who do you ask for guidance from? When I’m prepping for a role, I find someone who is similar to that character and try to imitate the aura that person gives off. At first, I didn’t really have anybody to ask about these things, but now I have more friends who do the same work I do, and so I can ask them “how do you think I should do this character”? Who’s your favorite Sailor Senshi and why? Sailor Venus! I watched Sailor Moon when I was younger. You know how Usagi, the main character, is kind of clumsy and awkward? But Venus had long hair, and seemed like what a girl should be like–she has it together. I liked that about her when I was younger, and I still like her now. Which seiyuu do you admire, and who would you like to work with in the future? Junko Takeuchi, because I watched anime like Naruto and Inazuma Eleven ever since I was little, and I’ve always admired her since then. Chiaya Misono from “Rolling Girls,” who was played by Yumiri Hanamori. At first, when I auditioned for this part, I didn’t know that the character was an alien. So I played her as a regular girl, not too young, but not too old. It was hard to find that balance and get into the character at first, but as the series went on I was able to get to know her a little better and put a little more of myself into it and play around a little bit–like the little noises that she makes. [Michael] Have you become a fan of the Blue Hearts* since? I’m a huge fan now! What type of anime do you like, and why? Action and battle anime. I like kids’ anime but also late-night anime like Psycho-Pass. Do you prefer the fisrt or second season of Psycho-Pass? What fashion brands do you like? I like Liz Lisa and recently a brand called axesWe, which has girly frills, but not too much. What do you think of non-Japanese fans in general? We act in Japanese, so that overseas fans are able to enjoy our acting without fully understanding the language makes me really happy to go beyond borders in order to reach them. 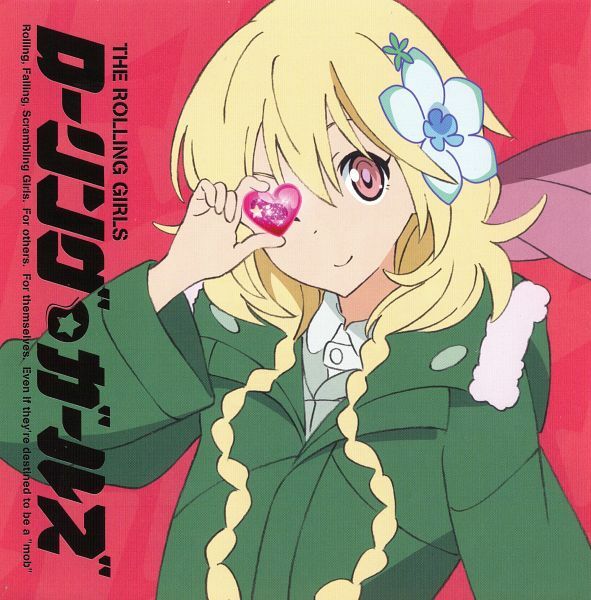 *Note: most of the insert songs and OP/EDs in The Rolling Girls are covers of songs by the classic Japanese punk rock band, the Blue Hearts.